Around this time last year, everyone was seeking an explanation for LeBron James's poor playoff performance. 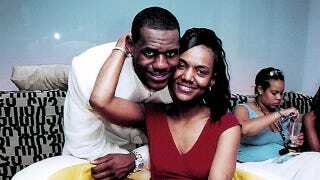 They found it, in the form of a bizarre Gloria James/LeBron James/Delonte West love triangle. Happy Mother's Day, everyone.